For truly amazing performance in the same four-door package, check out the 333-hp, supercharged V-6 in the 2011 Audi S4 sedan. 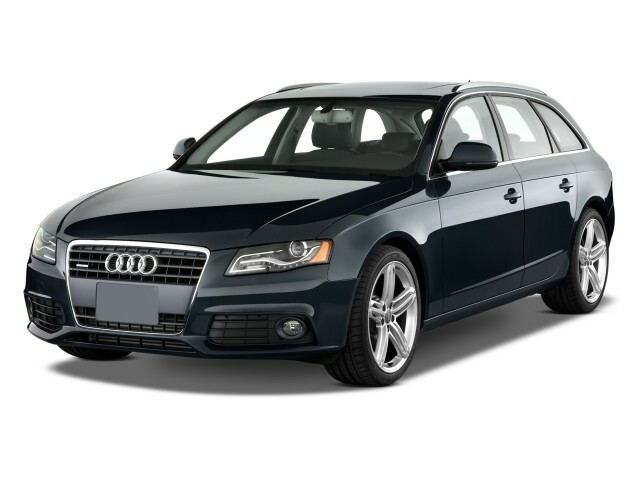 With strong performance, good practicality, and respectable fuel economy, the attractively styled 2011 Audi A4 strikes a great balance for an everyday-driving sport sedan. The Audi A4 has over the years become more of a purebred sport sedan and less of a luxury compact. Carried over intact after a complete reinvention in 2009, the 2011 Audi A4 continues to wear its racier design well, and offer an engaging driving experience, impressive in-cabin technology, and, surprisingly, great fuel efficiency. What is especially to like about the A4 is its aggressive look, and how the whole design fits together. From a few paces back, the A4, like the A5 with which is shares its proportions and most of the mechanicals, has presence—serious, I-mean-business presence on the street. 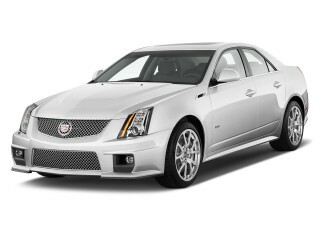 The sport-package wheels, exhaust tips, and Premium-package xenon headlamps and LED running lamps and tail lamps (along with the impressive detailing around the front air dam) altogether give this sedan quite the look. Inside, the A4 has a deeper, darker binnacled dash that leaves out some of the more expensive wood trim of the past, and in the process omits some of the impression of quiet luxury that used to pervade all Audis. It's still handsome and well finished, but there's more black and metallic plastic and LCD readouts than ever. The A4 accelerates, steers, and hunkers down at high speeds much more like a true sport sedan. The new base 2.0-liter engine, which was introduced last year is quite different than the 200-hp, 2.0T engine it replaces. With 211 horsepower and 258 pound-feet of max torque, it makes 11 more hp and 51 more lb-ft than before, and comes with variable exhaust lift and a host of changes. It doesn't quite churn out the torque just above idle; the torque curve builds rather abruptly, so if you let out the clutch too soon and don't let the revs climb high enough at launch you can hit a flat spot that leaves you wanting—until you pass the 2,500-rpm mark and a rush of boost and torque comes on, all the way up to redline. The A4's steering system is one of the better systems in this class. The former A4 had steering that was often too light, but this feels firm and reassuring enough at higher cruising speeds yet imparts just a bit of road feel (yet a sense of weighting) in lower-speed corners). It's not quite on par with the all-wheel-drive G37x's awesome feedback near the limit, but it's close and in high-speed hauling it's more satisfying. One of our few nitpicks with the A4 was its brakes, which on our test vehicle felt a bit grabby and overboosted at low speeds; throughout a week with the vehicle we kept stopping several feet short of our intended spot. The interior of the 2011 Audi A4 is quite comfortable, attractive, and well-appointed, though it's still a bit snug in back. The Audi A4's interior a few years back was a trend-setter in its class—and the new model still leads the pack when it comes to design—but the materials look and feel less remarkable this year, with some of the metallic plastic trim feeling like exactly what you'd find on some much less expensive vehicles. But build quality is still astounding—our editors couldn't get a single creak or rattle from the interior, despite a short stint on a gravel road. The A4 has a very firm ride—to firm for some, perhaps, with the upgrades included in the Sport Package, which brings 18-inch sport wheels, high-performance tires, and a sport suspension. The one thing that left us wishing a bit was the way the engine sounded—way too coarse in our opinion for a vehicle in this size and price class. Provided you're in one of the higher gears and the revs were below 3,000 rpm, you don't hear the engine, but rev past the 4,000 rpm mark especially, and it gets boomy. There's also a surprising amount of vibration, as well as a tickling of the gas pedal at a resonant frequency around 70 mph. Bluetooth, a navigation system, Sirius real-time traffic and an iPod connectivity kit are options, as is a high-quality Bang & Olufsen audio system. Audi gives buyers a choice of wood and leather colors, and the lighter palette introduced in the current generation is quite handsome and makes the cabin feel airy. For 2011, HD Radio is newly available with the navigation system, Nutmeg Laurel wood replaces Beige Birch, and there's a new Titanium Sport package. Standard equipment is a little richer in the high-performance 333-horsepower S4, which is only offered in sedan form. In addition to the sport suspension and host of other upgrades, the 2011 Audi S4 includes heated washers, sport seats with alcantara inserts, aluminum door inserts, and the three-zone climate control system. The 2011 Audi A4 has an aggressive sport-sedan profile and a sharp sense of style outside and a neatly arranged cabin, with maybe a little less panache than in the past. In 2009, Audi gave its A4 a complete redesign, with the model gaining a completely new sense of proportion. With a longer hood, the current A4 has a more swept-back, rear-wheel-drive look to it; and it's longer and wider than its predecessor. The deep Audi grille, LED daytime running lights, and canted headlamps all rest more attractively on the Audi A5/S5 coupes and cabriolets, but the A4 sedan and Avant wagon are still very attractive. What is especially to like about the A4 is its aggressive look, and how the whole design fits together. From a few paces back, the A4, like the A5 with which is shares its proportions and most of the mechanicals, has presence—serious, I-mean-business presence on the street. 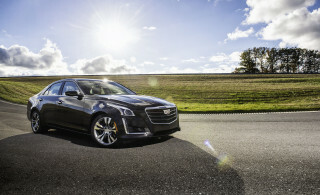 The sport-package wheels, exhaust tips, and Premium-package xenon headlamps and LED running lamps and tail lamps (along with the impressive detailing around the front air dam) altogether give this sedan quite the look. Inside, the A4 has a deeper, darker binnacled dash that leaves out some of the more expensive wood trim of the past, and in the process omits some of the impression of quiet luxury that used to pervade all Audis. It's still handsome and well finished, but there's more black and metallic plastic and LCD readouts than ever. The best details? 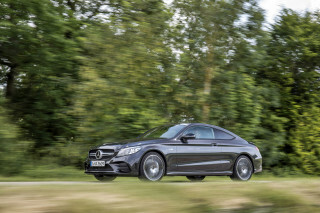 A thick steering wheel, a choice of brushed-aluminum or wood trim, and a more substantial look than either the rival BMW 3-Series or the Mercedes-Benz C-Class-as well as the ubiquitous starter button. The 2011 Audi A4 feels like a true sport sedan in most respects, though it doesn't bring BMW or Infiniti levels of satisfaction near the limit. The six-speed manual gearbox that comes standard on the A4 shifts with more BMW-like precision and less of that loose, notchy vee-dub feeling than those in previous A4 models. Audi's handy electronic parking brake engages with a quick lift-on or release-down motion, and automatically releases as soon as you lift the clutch to its friction point. We thought that the taller ratios affect drivability a little bit, leaving us to downshift two or even three gears for passing, but they sure do help fuel economy. 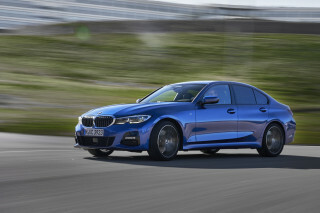 And when you wind out the gears with a good launch, it's as fast as BMW's 328i: The manual version can get to 60 mph in just 6.4 seconds (6.6 seconds with the automatic). A front-drive version of the 2011 A4 is still offered; it includes a continuously variable transmission (CVT), and our editors haven't driven this combination in the current-generation A4. Because you don't get quattro—which actually aids handling performance in the A4—and mileage isn't any better, there's not much reason to opt for the CVT version other than price. On quattro models, there's a new eight-speed Tiptronic automatic available, replacing the six-speed automatic. The 2011 Audi A4 feels comfortable and well-made, though its backseat space is still limited and the engine can get surprisingly thrashy. The interior of the 2011 Audi A4 is quite comfortable, attractive, and well-appointed, though it's still a bit snug in back. With the Audi A4's last redesign for 2009, its back seat became usable for adults, while the front seats are still among the better seats in this class. The base front chairs are supportive if a bit flat across the bottom cushion, with power adjustment and leather upholstery, but the upgraded seats included with the Sport Package are excellent. Most controls are easily reached, and the steering wheel tilts and telescopes to provide even tall drivers with the chance at an optimal driving position. There is much more backseat room, but the seat itself could use more bolstering and a taller bottom cushion height for better comfort. The backseats fold down for trunk access and for carrying long objects, and a pass-through for skis hides behind a fold-down armrest. Cargo space is excellent; the trunk is very large on sedans, and the wagon (Avant) has enough room—17.3 cubic feet behind the rear seat—to carry four roller suitcases plus a couple of soft-sided bags. The A4's built with tight seams and a uniformly high level of fit and finish inside and out, but there's plenty of black plastic on the dash and a few buttons and controls with less than perfect feel-though Audi's steering-wheel mounted rollers should be the new standard for audio controls. The Audi A4's interior a few years back was a trend-setter in its class—and the new model still leads the pack when it comes to design—but the materials look and feel less remarkable this year, with some of the metallic plastic trim feeling like exactly what you'd find on some much less expensive vehicles. But build quality is still astounding—our editors couldn't get a single creak or rattle from the interior, despite a short stint on a gravel road. The 2011 Audi A4 has a nearly perfect set of safety credentials, including top-notch crash-test results. Available side-thorax airbags are noteworthy. The 2011 Audi A4 has a very impressive level of occupant protection, both with respect to active and passive safety. Both the National Highway Traffic Safety Administration (NHTSA) and the Insurance Institute for Highway Safety (IIHS) have crash-tested the 2011 Audi A4. In IIHS testing, the A4 earns the highest ratings possible in all tests, and it's a Top Safety Pick. And in the new, revised federal tests for 2011, the A4 gets four stars overall but five stars for side impact and an even more impressive five-star score in the new Side Pole test, which simulates a sideways collision against a tree or utility pole. Safety equipment includes standard airbags all around, as well as traction and stability control. 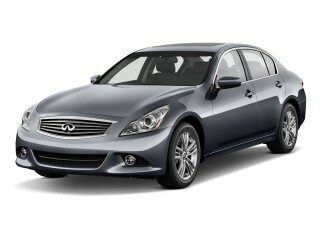 Safety options include a rearview camera, blind-spot and lane-departure warning systems, and adaptive cruise control. Visibility in both the wagon and sedan is quite good, even with the backseat's three headrests in the upright position. The 2011 Audi A4 and S4 are very well-equipped sport sedans, though it's easy to add options and end up with a much higher price. Apart from its variety of body styles, drivetrains, and safety systems, the 2011 Audi A4 and S4 offer a host of standard and optional features that are among the best in this class. Leather upholstery is standard, along with Sirius Satellite Radio; a CD player; cruise control; a sunroof; and Audi's MMI system, which uses a rotary controller to aid the driver in setting climate, audio, and phone functions on the go. It's a menu-based system like BMW's iDrive, but the software's a little more user-friendly and logical. The Premium Plus Package—which our editors found to be a decent value—includes tri-zone climate control, Bluetooth, heated seats, a garage-door opener, trip computer, and rain/light sensors, and an auto-dimming mirror, among other features. The sound system lacks a USB input, but turn it up with SD or CD inputs and the sound is rich and satisfying. Standard equipment is richer in the S4. In addition to the sport suspension and host of other upgrades, the 2011 Audi S4 includes heated washers, sport seats with alcantara inserts, aluminum door inserts, and the three-zone climate control system. The 2011 Audi A4 is arguably the greenest non-hybrid, gasoline sport sedan. In only offering the 2011 Audi A4 with a four-cylinder engine, the lineup is now quite green and fuel-efficient. A4 models return up to 31 mpg on the highway, and 21 or 22 in the city for all of the models. During a week with the A4, The Car Connection averaged 31 mpg overall—admittedly mostly level highway driving, in Michigan, at responsible speeds, but with a fair amount of suburban stop-and-go and spirited back-road two-laner stints mixed in. That's better than any rival but the BMW 335d, which can only be had with rear-wheel drive. Nice looks, a bit heavy on fuel(average min 7.5 l/100km). Sharp designed with cool features. Good for the snow and cold. Good for the summer. After 80000km some mecanical problems. The dealer is gooing to check my oil consumption.